Mama S showed me this blog introducing this place in Sin Ming with superb curry fish head and since we wanted to surprise Mr Hock for his upcoming birthday, we decided to try the Birthday Boy’s favorite dish. Remembered Icekimo? It’s just across Hooked on Heads. After curry, you can still pop over Icekimo for their unconventional ice-cream. Hooked on Heads is tucked away at the quiet Sin Ming Plaza. 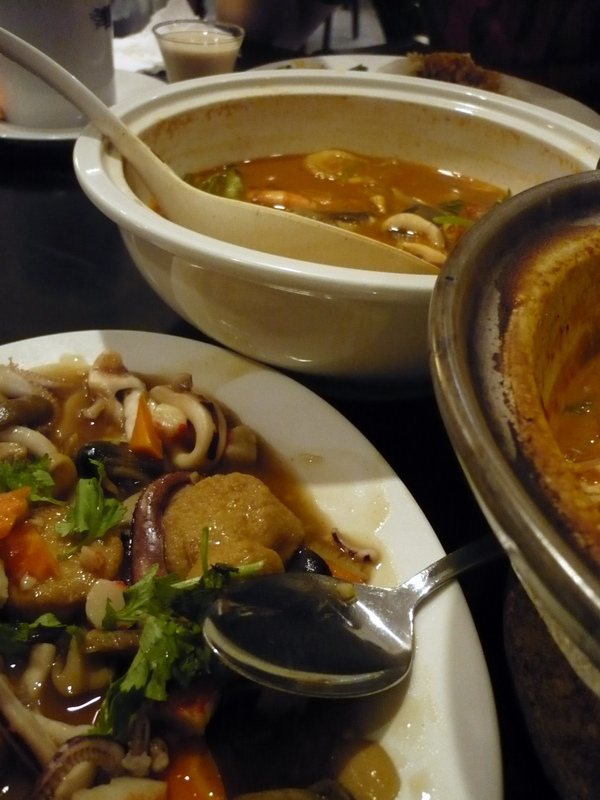 It’s menu consist mainly Thai Chinese fare. I must say the price and food here tasted so much better than Thai Express. 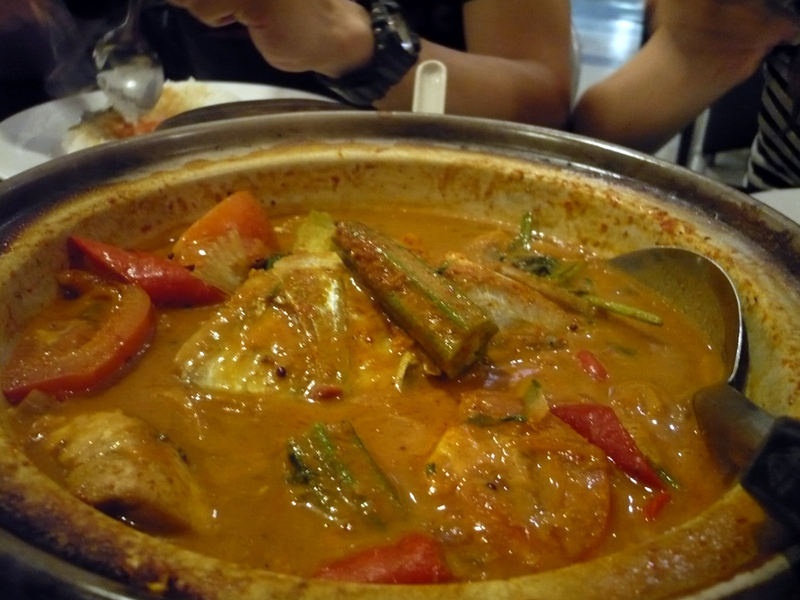 Half Fish-head curry $20 – BESTEST! Thick curry broth with lotsa ladyfingers without the overpowering Indian spices. Our ONLY regret? Should have ordered the WHOLE HEAD instead of half. 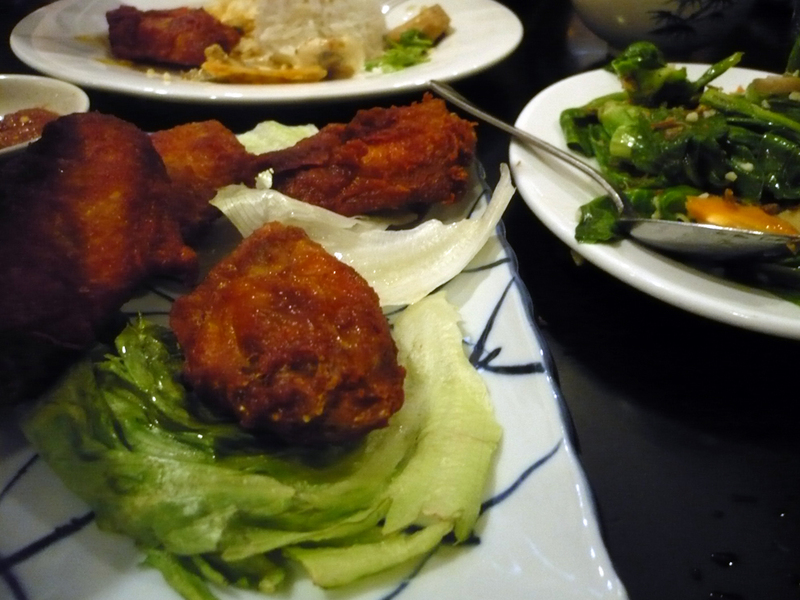 Prawn Paste Chicken $8 – very crispy but the prawn paste tasted a little too strong for us, we don’t quite like it. Tom Yam Soup $10 – Birthday Boy’s favorite too. Too spicy for me but the other 3 said it’s very yummy. I read that the Mee Siam is a must try too! I will definitely return to this place again. 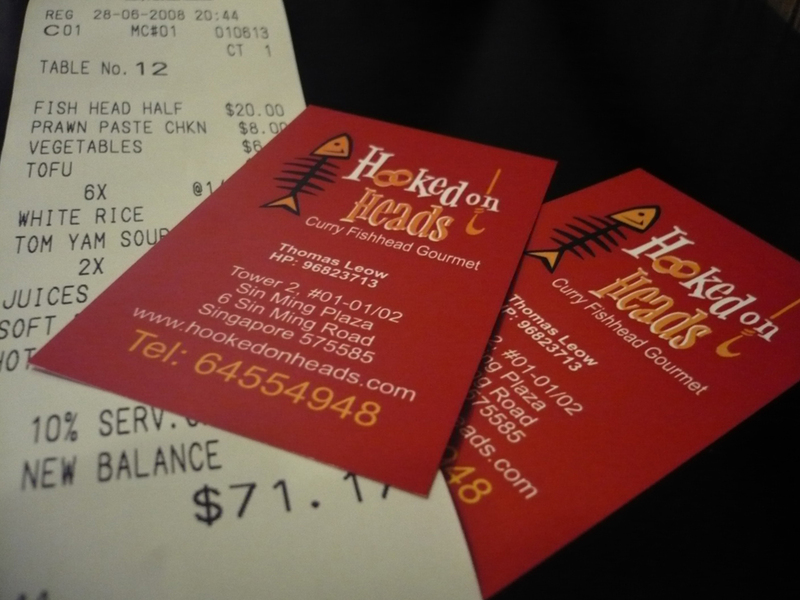 Value for money and the curry fish head wins hand-down!